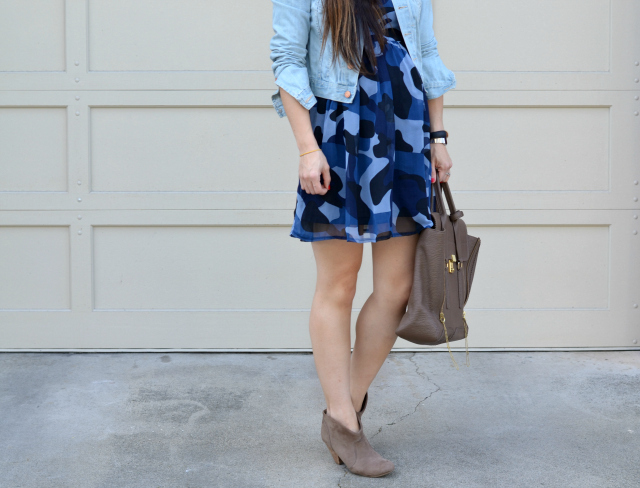 I never actually thought of wearing a babydoll dress while carrying a baby bump. It seems too obvious. Yet, here I am. 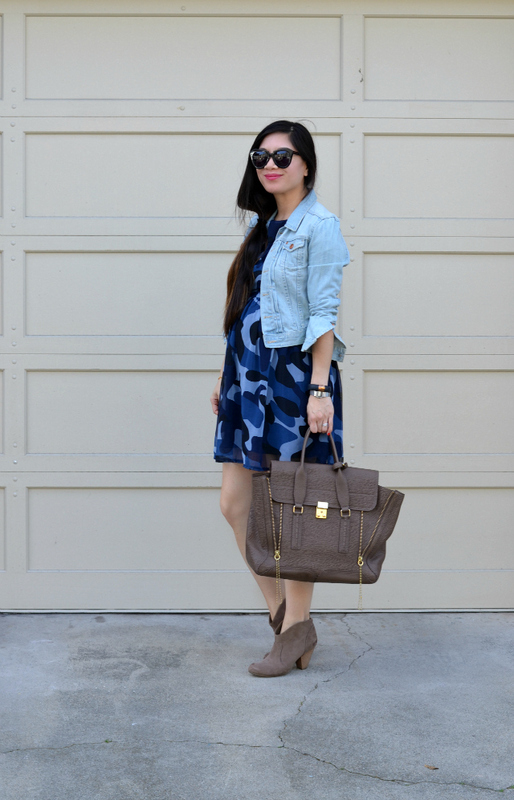 While this dress isn't actually considered maternity wear it works for me all the same. Granted, I'll only get away with wearing this dress for a little bit longer but I love anything that is from my current closet that still fits (and comfortable), doesn't make me feel/look terribly huge and makes me feel stylish. Aw so cute! Are you going to announce the gender or wait until you have the baby? You look so adorable in this dress! I remember the woes of trying to fit in non-maternity things when I was pregnant. It feels so victorious when you find something that can fit and feels great! Such a pretty look! Love the dress! Your outfit reminds me of Blake Lively .. she wore a short dress with her bump and she looked fabulous ( just like you do here!! ). I love see colours on you. I love these colours on you :) stupid ipad. 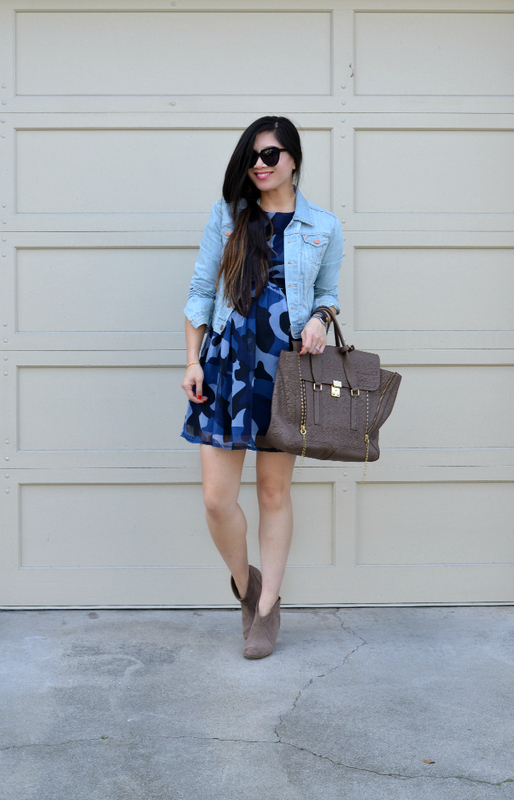 Love the blue pattern of the dress with your denim. You can't even tell you are pregnant from the front! Gorgeous, fun and playful look! 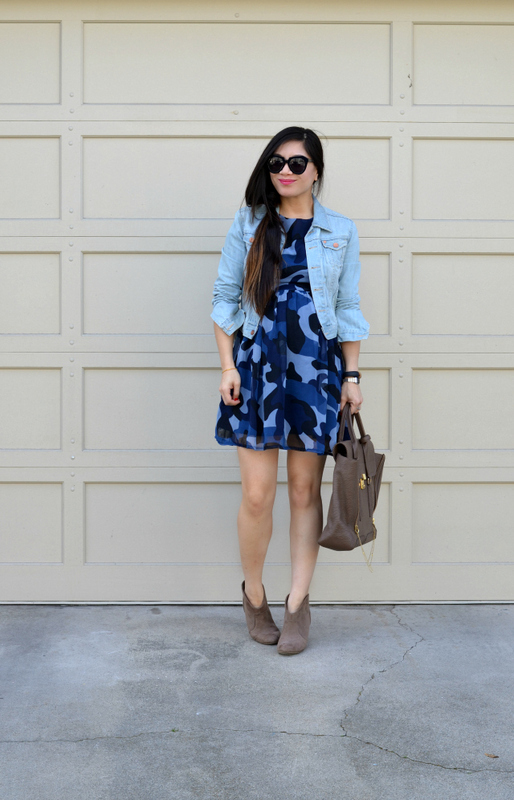 Love the blue hues and the prints. Love the dress!! What a fun print in a fun color! Really cute dress! 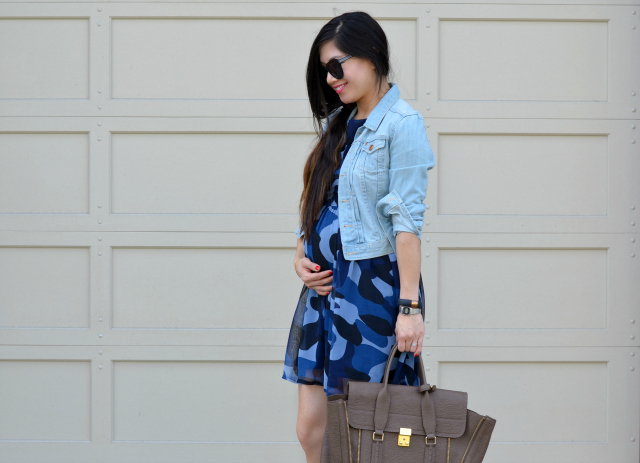 It is a perfect maternity outfit! You are looking incredible too! I always liked this dress on you and so glad you are able to wear it as a maternity dress as well. When the baby gets too big, this an be a tunic. You are such a stylish momma! Love whenever you wear this dress, and glad it works for you even during your pregnancy. This is such a cute look! You look adorable pregnant! 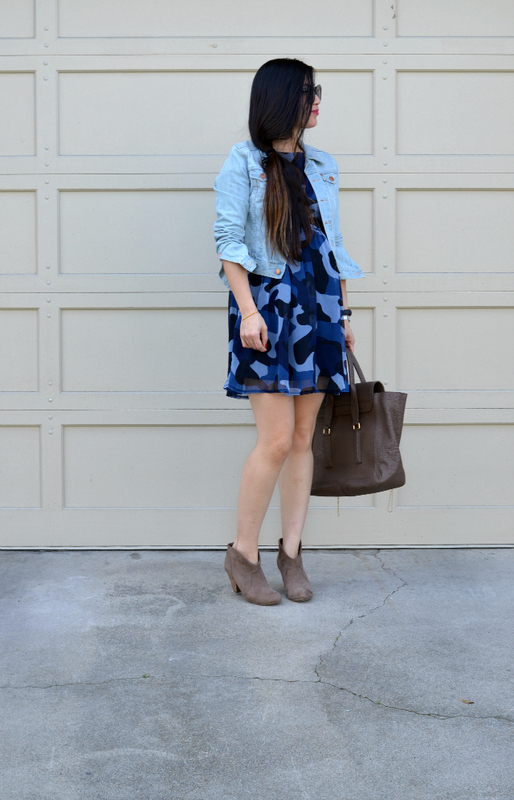 that camo dress is so cute on you! That looks so cute on you Nancy! The print is gorgeous! That style suits you! This outfit is so cute on you and I have to say, you don't look pregnant from the front, at all! Love the blue hues on that babydoll.